Made from .25-inch thick quality acrylic. 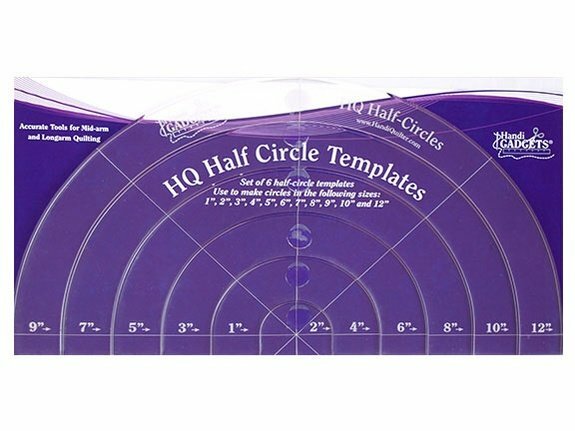 This template set of half circles are easy to grasp and control and are in 1-inch increments (1 1/2" to 11 1/2") for quilted circles from 2-inches to 12-inches. Use scored lines to align templates for perfectly quilted circles and arcs. Ruler packaging includes instructions for use, safety tips and design ideas. Use with the HQ Ruler Base.